Slow Broadband is a big problem for many people nowadays, but it’s not one that cannot be fixed. It’s often the case that Internet connections run slowly because of common issues inside your system. Fortunately, there are some very easy ways to boost the speed of your Internet even if you’re a complete computer novice. This tutorial will show you how to deal with fixing your broadband, and the options you have to make it run faster. If you have a router (for wireless network usage), then you should try repositioning it. It’s often the case that wireless router connections are very shaky and by moving the position of the component, you could increase the range & power of connection to your PC, speeding the Internet up. I’m sure you’ve all heard about how some people can “get their neighbours Internet” for free, right? Well the fact is that a lot of people can simply log into your network and leach of your Internet if you have not secured it. To do this, you should secure your wireless network by applying a “WEP” key to it. This is like a password that protects your network from only being accessed by people who know the key. If you’re trying to put up with Internet Explorer or Firefox, it might be time to try a different browser. Believe it or not, the Internet browser you use has a direct bearing on how fast your Internet connection appears to be, and some take a lot longer to load pages than others. You could try using Google Chrome, which has specifically been designed to be a very fast-loading web browser. The Internet Cache of your PC is where all the Internet pages and saved files are stored for your Internet browser. It’s basically how your browser remembers all the different pages & elements of your websites, and it’s vital that you clean it out every few weeks to keep it from slowing your Internet speed down. 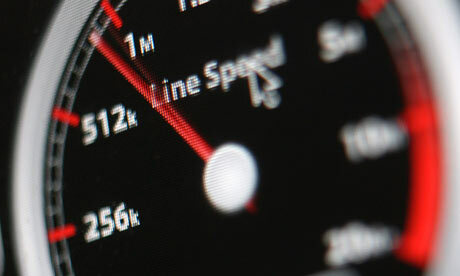 Internet-based applications such as Skype, AIM and Outlook all use up massive amounts of broadband connection, which in turn slows the speed of your connection down. You should close down any program that you don’t want to use and that might be sing up more Internet connection than what they should. To do this, you can press CTRL + ALT + DEL on your keyboard to load up the “Task Manager”. From this small applet, you’ll be able to close any of the programs that are making your connection run slow. Internet providers only have a certain level of connection to give to their customer base… which means that the more people who try and use the connection, the slower it gets for everyone. In “peak” times such as in the evenings, you’ll end up having a generically slower connection that at times such as midnight or early in the morning. If you want to play a game online, or just want to be able to download a large file quicker, you should try and wait until less people are using the connection. This also applies with download sites – try and use these sites when the USA & India are not online… as these two countries typically take up a lot of bandwidth. If you have a home or office network, then you’ll want to look at each computer in that network and see which ones are using a lot of Internet bandwidth. If you have a certain level of Internet connection coming into your premises, you have to share that with your other network computers, which means that if any of the PCs on your network are playing online games, watching movies or downloading large files… you should wait until they are finished. If you have limewire or bittorrent installed, then you should disable it right away. The problem is that these programs zap your Internet connection and make it unable to process the data and information you need. Disabling it will give your connection an instant boost.